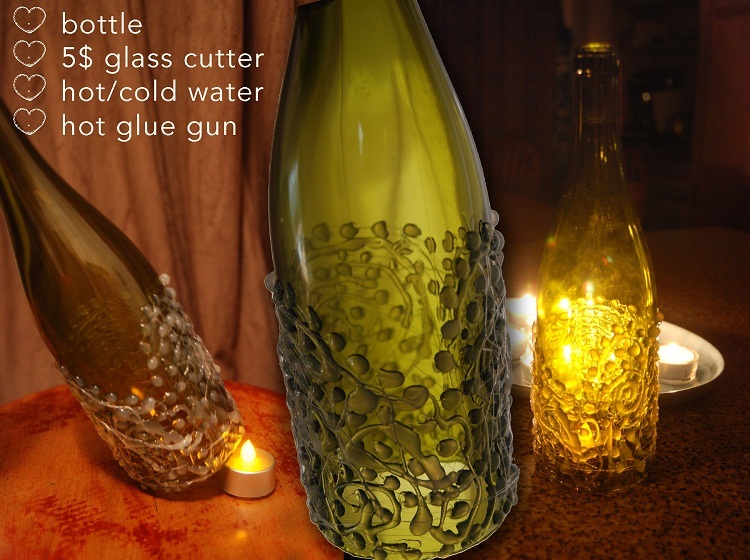 Empty wine bottles can easily be used as candle holders to uplift the aesthetics of the interiors of your cozy den. 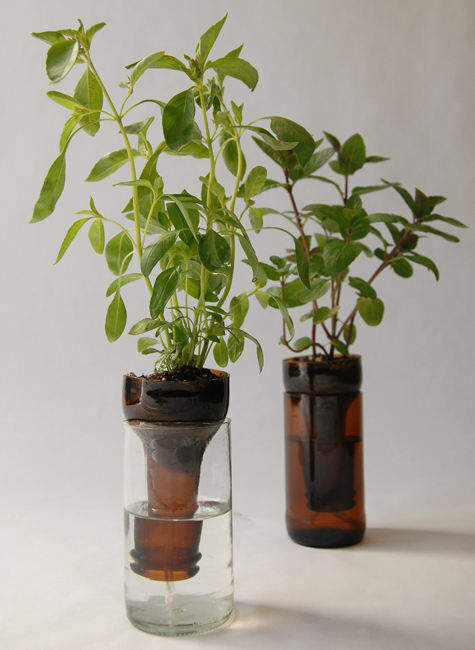 Moreover, they allow you to contribute towards a sound environment by recycling. 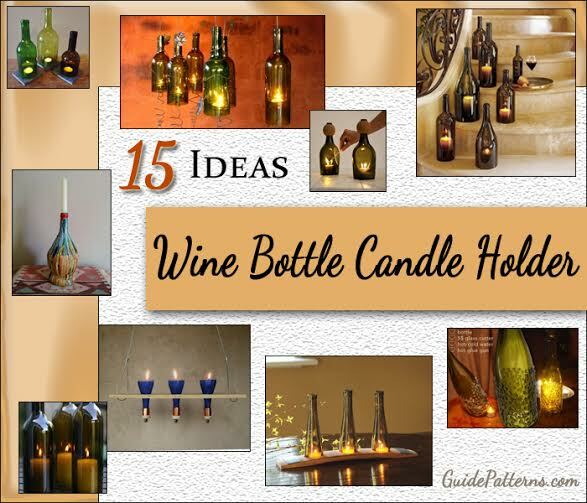 Given below are a few charming ideas for home décor using lovely wine bottle candle holders. Making hanging candle holders with your empty wine bottle collection is a fun project. 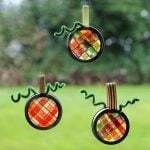 They are easy to make and do not involve fancy tools. Beautiful glass centerpieces such as these, are sure to earn you kudos from your friends. 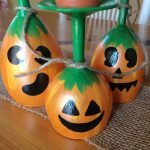 They are also a perfect hostess gift making a statement of their own. 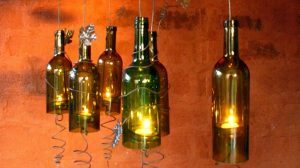 The diverse colors and unique shapes of wine bottles make these wine bottles versatile ornamental items. 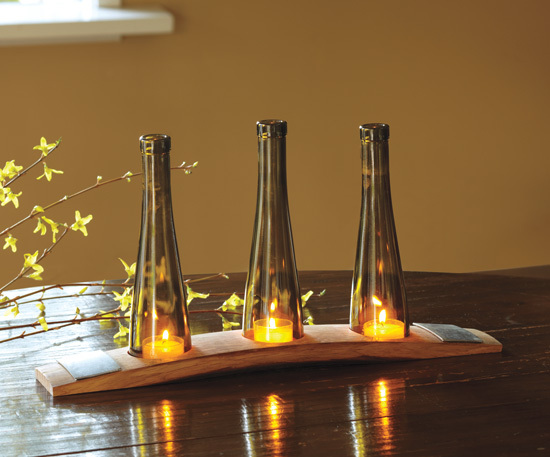 You will love their soft glow all the more during candlelit dinners with your sweetheart. No matter how busy our lives get, getting together at dinner with family does a lot to relax our strained nerves. 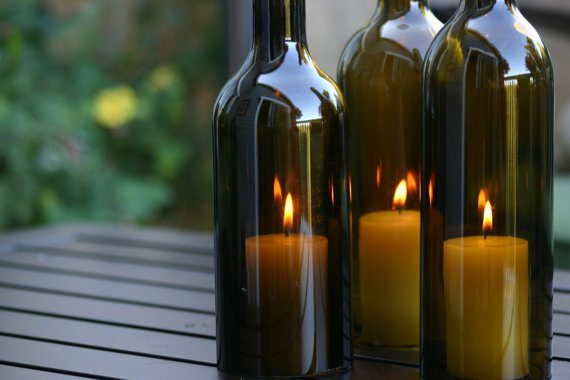 With these alluring wine bottle candle holders adorning the table, you will find even more excuses for inviting friends and relatives over for dinner. A couple of days before a wine themed wedding make a attractive table with this dazzling show of your creativity. You need to have a considerable collection of wine bottles in your kitty for nailing this project. 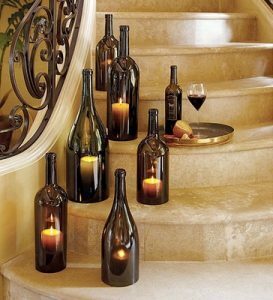 The different heights of the candles and the wax flowing down the bottle walls create a dramatic effect. 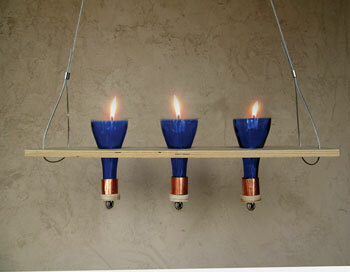 This piece can do wonders for the lighting of your yard. It can be reused when entertaining guests at the patio, as well. You will savor the soft ethereal light after placing them in line on the garden path. These sophisticated candle holders made out of wine bottles will surely find a place in your heart. 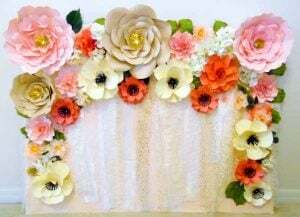 They can be grouped together as wedding centerpieces for a romantic aura. You might have seen these pretty things in online stores, craft shops or flea markets. 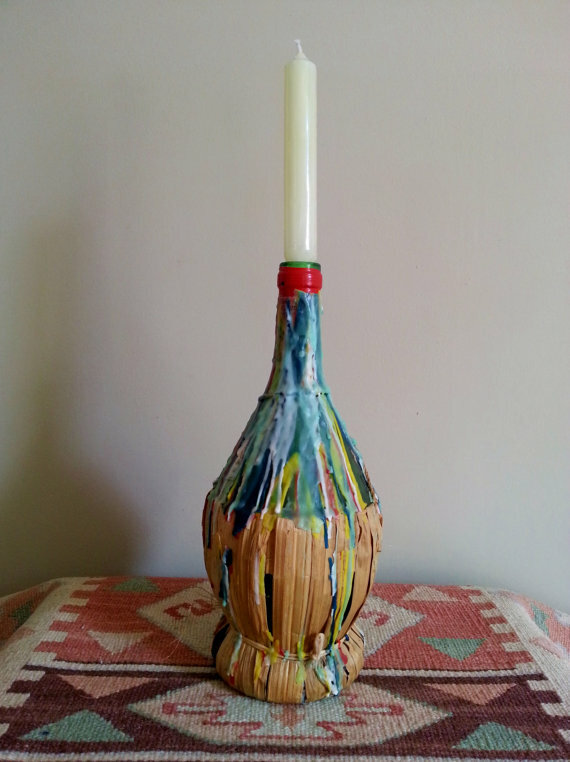 Here is how you can make a similar one yourself. 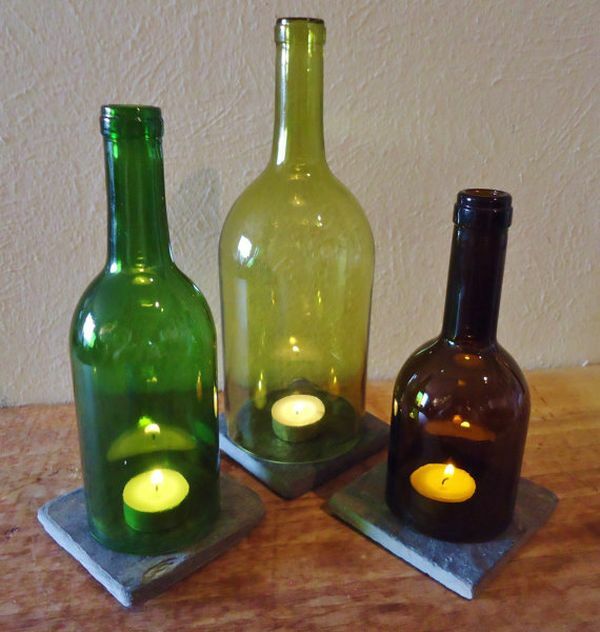 Prosecco bottles are used for these stylish wine bottle candle holders. They reflect and magnify candlelight gorgeously making them ideal for mantle and table décor. This DIY is pretty easy. You just need to remove the base of empty wine bottles and put them over candles placed over tiles. If you know how to cut class, making this adorable set will be cakewalk for you. 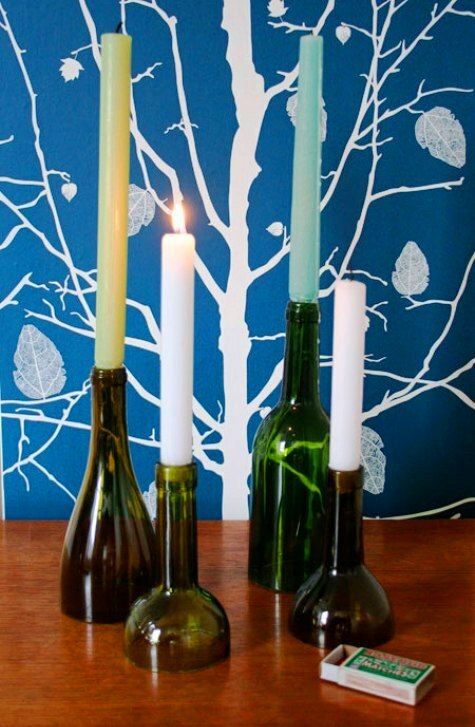 Make the edges of the cut bottles smooth and polished and slip them over the candles. 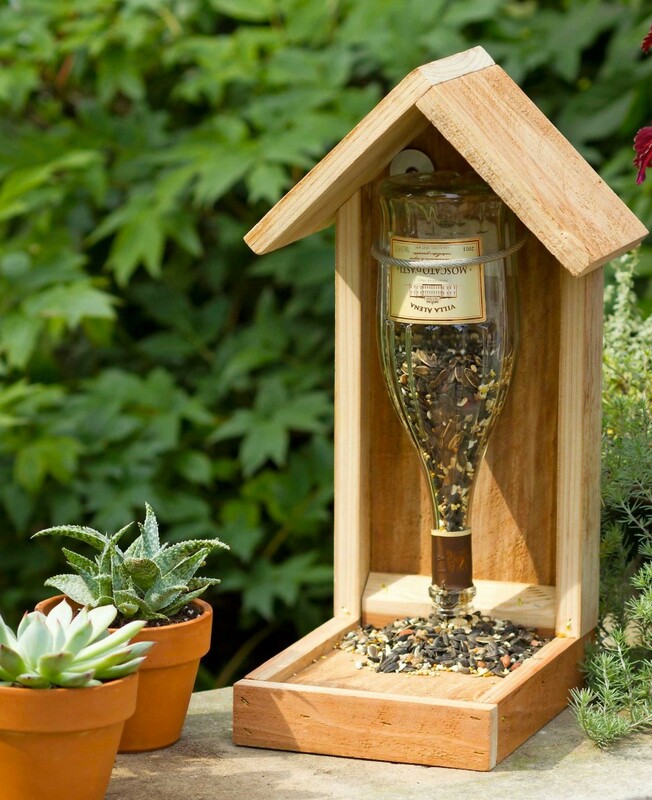 It is a splendid way of putting trash to good use. 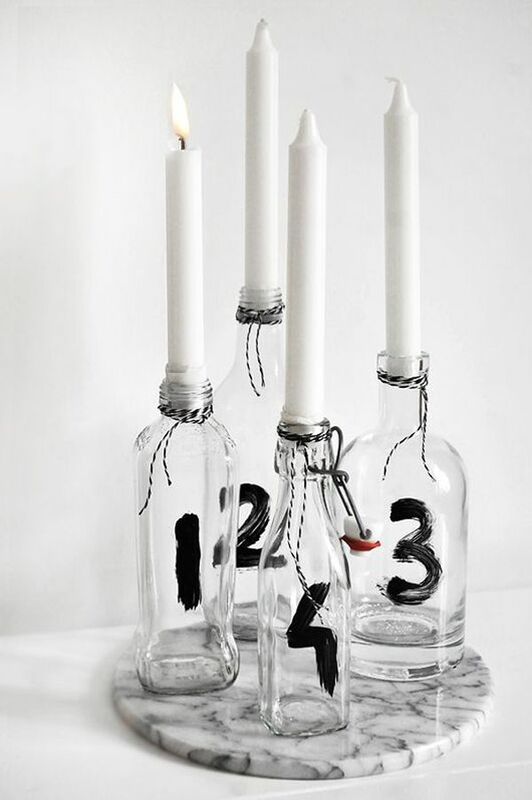 This quirky piece of wine bottle art is very interesting. 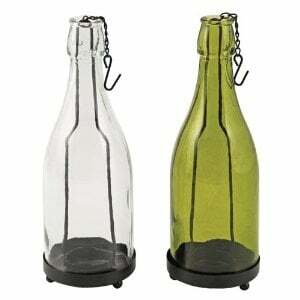 You need to get some empty wine bottles of different sizes and shapes. Get hold of a paintbrush and paint numbers on them. 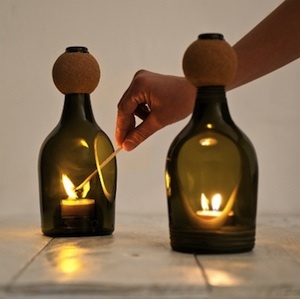 Then, stick a candle inside each one of them after ensuring that they are of the correct diameter. 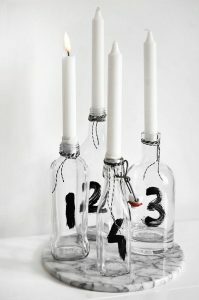 You can add to the style by tying twines or cords around the bottle necks. While any intact wine bottle can be used to make candle holders, you can choose a bottle with an unusual color or shape to gain extra attention. In this regard, a Chianti bottle offers an attractive option. Surely you are spoilt for choice and can’t put a finger on which idea to pick. Just make a move and indulge in the joy of making any one of them. Bet you can’t stop at one and will end up trying out all the enlisted wine bottle candle holders. Any fairly thin wire that can be bent can serve the purpose. A small link chain or wire from a coat hanger will do as well. Use pliers to bring the wire to the desired shape. Where can u buy the inserts for the wine bottle votive candle holder? The chain type. hey i saw stuff i would love to buy! is it possible to purchase any of the items shown? I’m writing an article about bottles that become candle holders for a magazine that speaks about creative recycling “Non sprecare” (“Do not waste”) and I wanted to know if I can use the images of your site. I would care to mention the site itself in case of your positive response.